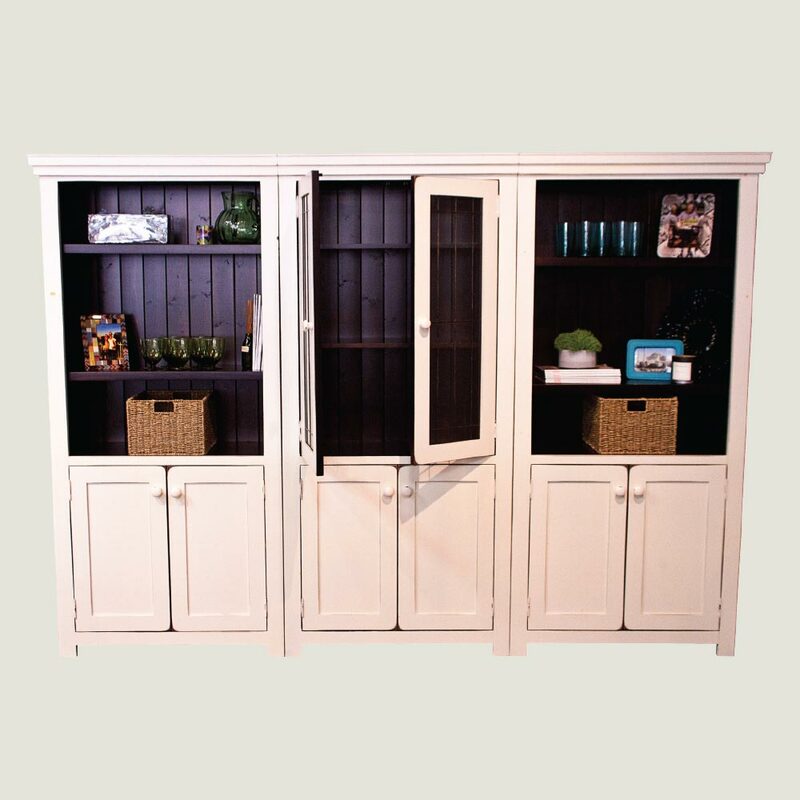 3 Tall Bookcase with 2 Doors, Mission Crown Moulding, Mission Doors, Mission Cutout - Bookended together. Added to middle, Upper Doors with Arts and Crafts Glass. Tinctured Baby White/Regular Rub and Baby White Wood Knobs. Hardware used to secure bookcases together.